I have always felt uneasy whenever I hear organisations crowing about their ‘Safety Culture’. Even worse, their ‘Safety Culture Programme’. To me, that’s a bit like talking about how to be happy or excited. You either are or you’re not, but talking about it, having a programme for it? Even measuring it seems to me to be a contradiction. I believe safety culture is a product of doing things well. Just as happiness is a product of things feeling right in your day. These sorts of things are frankly a bit transient unless the conditions continue to support them. If someone said to me they have a great safety culture, I would feel like saying ‘Do you mean today or yesterday?’ Or, I could ask rather unkindly whether the employees knew about it. But I don’t. I’ll go a step further. Even in safety-critical organisations, I still don’t believe safety is just a result of having routines to follow. It is a product of a wide set of organisational characteristics. But there’s a load of human behavioural factors that have to work right, or all the paperwork in the world is futile. That’s why in the 2000 – 2010 decade, in recorded causes for air crashes, human error was still 50%. A proportion that has remained essentially unchanged since the 1950’s. You can make the hardware as safe as houses but errors are largely human. That’s because we do the complex and variable stuff. The hardware just has to reliably perform the same very specialised function day in, day out. Causes of Fatal Accidents by Decade (percentage). Safety in all occupations is largely a function of individual behaviours and decisions. (Given that first the environment has to be made safe within the meaning of what is practicable and reasonable). Even when equipment fails, that’s often a failure in design, maintenance or use. But we can’t blame people. Generally speaking, people don’t want to take risks. Either they don’t understand the risk, or, for some reason, they don’t have the means to do it safely. Or they are under some other pressure to get something done. So to my way of thinking, safety is primarily a collective environment. An environment in which humans have the knowledge, time, space, support, processes, tools and equipment to get a job done safely. But to talk about ‘safety culture’, there needs to be something else. We can’t manufacture Safety Culture. It is something I believe arises as a result of doing a lot of things right. I don’t see safety culture as a tangible goal in itself. That’s why, whenever I hear someone saying ‘We are putting in place a safety culture’, I feel something is wrong from the start. I’m afraid I see it as daft a statement as ‘We are putting in place happiness’. Happiness is the result, not the aim. Same with culture. The general concept appears to be that ‘culture’ is glue that holds organisations together. The shared beliefs, behaviours, attitudes and values. Others argue that not all members of the group would respond in the same way in any given situation. So a culture is not a uniform set of behaviours. It will depend on function and purpose of groups and individuals. In any case, would we want everyone behaving exactly the same? There appears, however, to be a general consensus that ‘culture’ includes intangible things. Like ‘beliefs, ideas, norms, attitudes, roles, practices, characteristics, priorities, shared beliefs, commitment, styles, proficiencies, trust, perceptions’ etc. Take a look at those words. Now ask yourself what ‘programme’ on the face of this planet you can use to ‘roll out’ things like Trust, Perceptions, Beliefs, Attitudes, Sharing. (I use that term ‘roll out’ deliberately, because I hate it.) It is used in business everywhere today and it sounds like hospital beds arriving from the storeroom. It imparts a sad, passionless routine of obediently pushing out utilitarian processes. Processes enforced by ‘corporate’ that nobody cares about nor will ever support. Roll, squeak, rumble, drone, plod. Don’t have a clue what they are talking about. If they get near it, will probably kill it off early by strangling it at birth with more paper and more corporate twaddle. ‘The product of values, attitudes, competencies and patterns of behaviour that determine the commitment to, and the style and proficiency of, an organisation’s safety and health programmes. Organisations with a positive safety culture are characterised by communications founded on mutual trust, shared perceptions of the importance of safety and confidence in the efficacy of the preventative measures’. (Emphasis added). That word ‘product’ is a key concept in my view. A product in that context means several factors have combined together to get a result that is bigger than the sum of all the parts. If this concept is correct (and it feels right to me), then it is plainly ridiculous to aim for the product. That’s like trying to stack 4 blocks and 3 blocks to make 12. That adds up to 7. 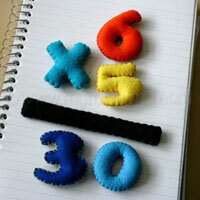 But if you are good, really good at doing each part, they start to multiply, not add. That’s what “the product” means. You get something that you could never have created using building blocks. It’s like the difference between an aeroplane at less than take off speed, and one that has exceeded it. It becomes something different. The problem I have with any pathway is that no one knows what safety culture is. All definitions are dreamed up in back rooms of institutions by old men who decide that it sounds about right. The above definition of safety culture is about as good as we can get, but it doesn’t help us to get there. Some experts have come to the conclusion that getting a safety culture is the result of dividing the task into a series of sub goals such as risk assessments, audits, systems, training. Then measuring each of those to find weaknesses and strengthening by process, measurement, process, measurement. Of perhaps more use is the model of a dynamic reciprocal relationship between psychological, behavioural and situational factors. So instead of being solely concerned with shared perceptions and beliefs, it can be argued that safety culture is the product of many interactions between people (psychological), jobs (behavioural) and the organisation (situational). I personally find this idea the most appealing. I have long advocated that there are only two key organisational attributes that really help to get a safety culture: These are Leadership and Employee Participation. We have to have systems and safe workplaces but the behaviours of individuals when they are at work CANNOT be influenced solely by process and procedure. All the ‘good stuff’ that has to happen for health and safety will always be ‘good stuff’, but where human behaviour is concerned, where is the little extra oofle dust, the X factor? To use a sporting analogy, when a great sports team is in the ascendency (think All Blacks, Real Madrid, Manchester United under Sir Alex Ferguson, the Aussie cricket teams of the last decade). What does it take to turn that greatness on in the first place and what does it take to turn the success into a dynasty? What changes a team from good to great? It’s not enough to put in place process and procedures. Something else has to happen. It’s not something anyone can create, it’s something that happens when skilled, trained people combine with strong, unequivocal leadership and collaborate to achieve a common goal (no pun intended). The real rocket fuel happens when the team starts winning and all the players and staff focus confidently on the next success. Confidence, cooperation, peer support and freedom to act within the agreed aims of the organisation all become aligned. Without the leadership, without the open and positive lines of communication, without the players supporting and working together, the team would be an also-ran. This does not necessarily mean the players have to be the best in the world. But they have to have the environment to excel in. So, to act as a stimulus for further discussion in safety culture, here are the things I believe we have to have in order to get the X Factor. I’m not dismissing processes and procedures. We have to have those (although in most organisations, the user friendliness of these processes is abysmal). My problem is that processes and procedures quickly reaches the point of diminishing returns. It’s something we have to have, to a greater or lesser extent, but it’s only part of the picture. So for the purposes of this discussion, I’m going to assume readers have largely got those basics sorted. If not, what would you be doing reading about Safety Culture? You need to attend to the basics first. Most managers don’t know what leadership is. They think it’s being tough, staunch and directive. They don’t see it as being about people, they see it as process, mandate and edict. Having applied this to the sports team model, my initial feeling is it no longer fits. Some of the abrasive captains and managers of sports teams don’t fit the model at all. Was Sir Alex Ferguson someone who “facilitates intangibles”? 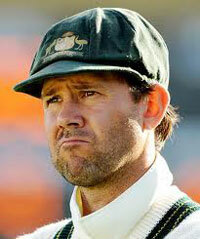 Did Ricky Ponting “listen first, then speak”? When was the last time Graham Henry or his successor Steve Hansen was caught “facilitating mindfulness”? Come to that, having read the Steve Jobs biography, he did not normally “encourage choice” or “promote ownership”. In fact, he was a control freak. Sir Alex Ferguson is known for his abrasiveness and intolerance of dissent. You’d know it if Ricky Ponting was in your dressing room. Having considered this, I would suggest the above model is a rather benign one and that good leadership does not have to be someone with endless patience, tact and benevolence as long as they have some key skills that are enough to sprinkle the “oofle dust” for the right people. I know from the biography, for example that Steve Jobs could definitely be described as “holding people responsible” (even though he had a brutal way of communicating it). He also educated people (a bit like being trained under a blowtorch, but it worked). He did a lot of listening, even though the end result was your idea became his idea. He asked a lot of deeply searching questions. When someone’s vision matched his, he actually did promote ownership (but visited them often and engagingly). He inspired by example, he encouraged excellence, he set very high expectations (so high that it was nicknamed the Jobs “Reality Distortion Field”). He definitely facilitated intangibles. (He saw himself as primarily an artist). His attention to the pursuit of simplicity, usability and design was the reason Apple products arrived at the intangible status of being iconic. He certainly encouraged mindfulness. While he could be very directive about certain choices, he relied upon what he called “The A-Team”. People who could get the results. He was not much of an engineer himself, but he employed the best engineers and he got the most out of them. They often found it tough, but they knew that there was a common purpose and they enjoyed working with other competent colleagues. He also used a technique of defining Apple’s difference from other IT companies, even making them adversarial. He encouraged fierce pride in the Apple cause and brand and this pride paved the way for celebrating successes with all employees. As for Sir Alex, we are told that he was very good at engaging with each and every individual player at Manchester United and getting the best out of them. Again, initially, the sports team analogy doesn’t seem to fit. We all see the images of the gum chewing, gesticulating manager pacing the touch-line, getting stressed and acting like a tyrant on speed. But match days are different. 90% of what the managers and coaches do is outside of that environment. The training, development of players, dealing with their personal crises, motivating them. Talking about the challenges, the opposition, celebrating successes and generally being intimately involved in a well defined team. Leading by example. No sitting behind a desk. Paperwork and vision statements at a minimum. Simple, common goals. Participating with employees doesn’t mean you have to be Mr Nice Guy, in fact, you may not gain respect if you are. But it does mean every voice is heard, every person feels they can make a difference, everyone knows they have a role to play and everyone is valued and encouraged to be their best. I know one engineering organisation where large posters were erected in workshops not long after a sapping redundancy exercise. It portrayed their remaining employees as good blokes and team members. Creepy. The senior managers had not set foot inside the workshop. The message was empty. A handshake and a few personal words would have achieved infinitely more and cost nothing. You have to treat people as individuals, even if your agenda does not coincide with theirs. I suggest that when these key areas of leadership and participation are done well in the context of safety, a ‘safety culture’ emerges, born out of a team of different but informed individuals working with and for each other under a strong consensus. At Apple, it was the technological innovation. Steve Jobs even refused market research because he said ‘People don’t know what they want yet’. They led the way. For sports teams, it’s the joy of winning, being top dog and relishing the next battle. What is safety culture for you? In a nutshell, if you want a strong culture, whether it is safety culture, quality, innovation or all of the above, you have to make no compromises, take no prisoners, insist on the best, enable your people, remove barriers to creativity and celebrate your successes. The safety culture will follow.